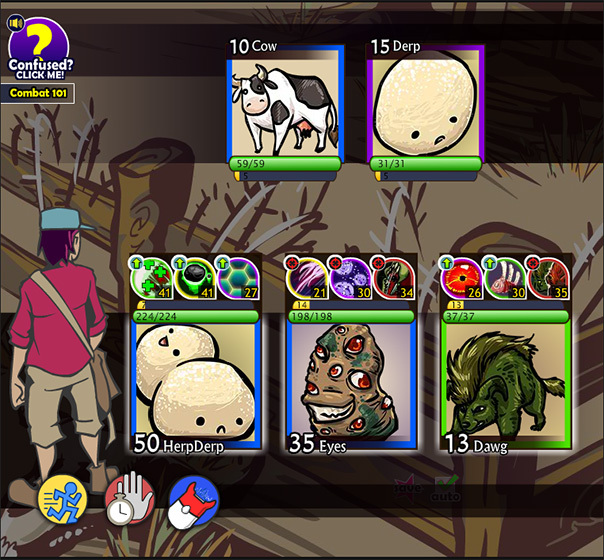 DudeQuest is a satirical monster catcher RPG heavily inspired by Pokemon. Play it now for free on Kongregate! 59 different Dudes to catch, evolve, and collect. Real time 3v3 combat system. Over 300 quests and 30,000 words of story content. Made in Adobe Flash CS5 and released in March, 2014. Design and code by Loren Hernandez. Art by Ashley Sarocca and Mikka Stifler. Additional artwork by Jung-ha Kim, Thomas J Thomas III, Denise Tomlin, and Bethany Lo. Music composed by Kenneth "MaskedEpsilon" Cobble.